Richard Lange is quickly becoming one of my favorite writers. I loved his short story collection “Dead Boys” and his second book, “Angel Baby.” His writing is decent and his characters are always oddly compelling, so I had to backtrack a bit and read his first book, which brings me to this review. The story focuses on Jimmy Boone, an ex Marine and ex con who is hired to find out what happened in the death of a Guatemalan immigrant. In the process of his investigation he uncovers a dogfighting ring run by a group of vicious criminals, a scheme to counterfeit cash, and begins seeing a nice girl in the process. 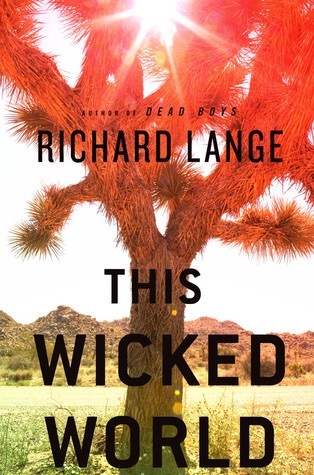 Although the writing is passable and Lange manages to compel you to turn the page to find out what happens next, this book is loaded with problems. As an ex con on parole wanting to keep his nose clean, Jimmy Boone kept behaving in ways that were completely implausible. The mystery of what happens to the Guatemalan immigrant is solved fairly early on, a little over midway through the novel. Boone’s choice to continue to “investigate” for another 150 pages by sticking his nose into matters that don’t concern him simply make no sense. It’s like the classic scene of a bad horror movie when the horny teenagers go into the woods with condoms and beer and you’re shaking your head because you know fuckery and doom will follow. Yet Boone does it anyway, and it serves no purpose other than to drive a weak plot forward. The last one hundred pages are a waste that further plunges the book downward into a mess. It is clear that Lange felt the need to wrap up every open plot end, no matter how useless and bad it was to begin with. It is unbelievable that a side character does a complete 180 and tries to screw Boone over with a half assed kidnap job or the fact that two of his friends (more characters wanting to stay “clean”) suddenly feel compelled to join his misguided cause. There were also lengthy passages describing brutal dog fights that did not seem to function to move the plot forward at all. I found myself skipping over pages and pages of gory details describing pit bulls ripping each other to pieces that, quite frankly, did not enlighten me any further into why Lange went with the dogfighting angle in the first place. Lange is an excellent writer but the fact that this is his first book clearly shows here. I’ll continue to read whatever he writes, but I’d skip this book if I were you. Previous Previous post: Here’s to you, 2015!